A few weeks ago I wrote about the specifications of constructing fire department access roads, which included dimensional details from NFPA 1, Fire Code, Section 18.2.3.4 such as width, vertical clearance, surface, turning radius, grade and dead ends. Just yesterday, a coworker referred to me a story in the news that highlights the importance of fire department access. On Monday night, a home in a San Antonio gated neighborhood caught fire after it was struck by lightning. The story reports that neighbors said the siren-operated sensor (SOS), at the gate was not working and delayed the response time of firefighters and it was reported that some residents said they had to open the gate by hand. The gate had been inspected at the end of last year and was reported to be functioning properly. Does NFPA 1 address gated neighborhoods? In fact, it does. Section 18.2.2.2, titled 'Access to Gated Subdivisions or Developments', states that the AHJ shall have the authority to require fire department access be provided to gated subdivisions or developments through the use of an approved device or system. Source: NFPA 1 Handbook, 2015 edition. Access to gated communities or other developments must comply with the same requirements for buildings or areas that utilize an access box where access to a structure or area is difficult because of security.. Access gates might use card access readers, siren-operated devices, infrared receivers, or other approved devices rather than keys, but it is critical that the means of access is approved by the local AHJ. Fire department access is essential to providing immediate and effective manual fire suppression operations. Obstructions, inoperable devices, and improperly constructed access roads can mean a longer time for the fire department to reach a fire, protect property, and save lives. Have you seen obstructions to fire department access? Share your stories and photos! As of yesterday, fire crews continued to battle the immense fire that erupted on Friday, burning 38,346 acres in and around the Angeles National Forest. Latest reports indicate that the far-reaching fire along the 14 Freeway caused one death and destroyed at least 18 structures. More than 40% of the fire has been contained. ABC's Good Morning America (GMA) and Good Housekeeping featured a story yesterday about common household products combusting and causing significant fire damage to homes. NFPA provided statistics on spontaneous combustion and chemical reaction incidents, and preventative methods for the story. Linseed oil or flax seed oil, common multi-purpose polishes used to protect wood products and tools, and also recommended for beauty regiments, can provide great benefits but these oils may also ignite and cause devastating fires. The GMA segment and Good Housekeeping article relayed the story of Sherri Prentiss, who lost her Maryland home in 2012 to a raging fire when contractors staining her deck, left wet rags underneath it. A few short hours later the rags ignited, a blaze started, and the family home was lost. NFPA research indicates that spontaneous combustion causes about 14,000 fires every year, and oily rags are the most common source of the flames. Check out the GMA video, Good Housekeeping story and NFPA report for other highly flammable household items and tips to prevent a devastating fire in your home of place of business. The Sentinel & Enterprise, a newspaper serving communities in the northern Worcester County and northwest Middlesex County region of Massachusetts, recently noted the steady, but slow rise in female firefighters on a local and national basis. Two women from the Leominster Fire Department - a newly hired firefighter and a 19-year lieutenant - share their career perspective in the article that references NFPA fire service career data. Lt. Audra Brown said, "You have to have the strength to fight a fire and lift patients and the right personality to do all of it, but I think a lot more women are starting to come out of the woodwork because they're realizing they can do it and want to challenge themselves." One such woman is Kim Bonney who recently graduated (with one other female candidate) from the Massachusetts Fire Academy. Bonney had been a call firefighter in a nearby town since she was 16 years old. There were 1,134,400 career and volunteer firefighters in the United States in 2014, of which 82,550 (7.3%) were women firefighters. The 346,150 career firefighters in 2014 represented a decrease of 2.4% from the previous year. Of the career firefighters 12,100 (3.5%) were women firefighters. There were 788,250 volunteer firefighters in 2014, an increase of 0.3% from the previous year. The number of female volunteer firefighters were 70,450 or 8.9% of the total. Later this year, NFPA will share updated fire services profile data when they release the results of the Needs Assessment Survey. One of the more common code violations with regards to electrical safety provisions in NFPA 1, Fire Code, relates to power strips (referred to as power taps in the Code.) Just this week I was sitting in a conference room at an NFPA Technical Committee meeting and multiple committee members lost power to their computers at the same time. Upon further investigation, we found that the power strips were plugged into one another (daisy-chained) to provide a series of power strips to serve computers around the room. One power strip was accidentally powered off, so multiple strips were affected, a code violation many overlook. For compliance, each power strip should have been plugged into a permanently installed outlet. Section 11.1 of NFPA 1 provides provisions for basic electrical safety. Topics addressed in this section include relocatable power taps, mutiplug adapters, extension cords, and the building disconnect. The approval of new electrical installations or approval of modifications to an existing electrical system is a function typically performed by an electrical inspector or other building code enforcement official using the requirements of NFPA 70®, National Electrical Code®. However, in many cases, prior to a building or other facility being constructed or occupied, fire marshals or fire inspectors perform periodic inspections to ensure that the safety systems and features of the premises are in place, are in proper working order, and have not been compromised or adversely modified. Here the requirements of NFPA 1 can provide basic guidance to fire inspectors to assist with identifying proper and safe installations. 11.1.4.1 Relocatable power taps shall be of the polarized or grounded type with overcurrent protection and shall be listed. 11.1.4.2 The relocatable power taps shall be directly connected to a permanently installed receptacle. 11.1.4.3 Relocatable power tap cords shall not extend through walls, ceilings, or floors; under doors or floor coverings; or be subject to environmental or physical damage. Power strips are commonly used for computers, printers, and other electronics at workstations, offices, and dormitories, where additional electrical power receptacles are needed. During inspections, power taps that are plugged into other power taps (daisy-chained) should be removed, because such arrangement is prohibited. Relocatable power taps are for temporary use and should not take the place of permanently installed receptacles. In addition, power strips should not be connected to extension cords to extend their reach. Ideally, where extension cords are used for other than temporary purposes, additional permanent receptacles should be installed to accommodate the power strips. Understanding basic electrical safety practices can be instrumental in preventing fires in residences, hotels, dormitories and offices, among other locations. For additional information, check out NFPA's resources on electrical safety! Team up with NFPA and Domino's for Fire Prevention Week! NFPA and Domino's are joining forces for the 9th year in a row to deliver fire safety messages and pizza during Fire Prevention Week. This program presents a fun, engaging opportunity to educate people about the importance of working smoke alarms. That's why we're encouraging as many fire departments as possible to team up with their local Domino's store and implement this easy-to-execute campaign in their communities. Call or visit your local Domino's store and ask the owner/manager to participate. Select a day and time-period (usually two to three hours) to randomly choose one to three pizza orders to deliver aboard a fire engine. The participating Domino's delivery expert will follow the fire engine in his or her car. When the pizza delivery arrives to the customer's home, firefighters will check the home for working smoke alarms. If the smoke alarms work, the customer's order is free (cost absorbed by the Domino's store). If the smoke alarms aren't working, the fire department will replace the batteries or install fully functioning alarms (cost absorbed by the fire department). Fire departments that sign up to participate between July 21 and August 6 will be entered automatically into Domino's Fire Prevention Week Sweepstakes. Domino's will randomly select five winners to receive NFPA's "Fire Prevention Week in a Box 300," valued at $325. The package includes: a banner (super-sized 10' x 4'); posters (now two-sided, with one side in English and the other in Spanish); adult brochures; kids activity posters; stickers; magnets; Fire Prevention Week News; and goodie bags. If your fire department plans to participate in this year's program, please email Danielle Bulger at dani.bulger@dominos.com. The winners will be announced approximately two weeks after the August 6 closing date. Good luck! Have you ever wondered what happens at an NFPA 70E meeting? If so, the NFPA 70E committee is coming to Salt Lake City to conduct the second stage of the 2018 edition process. The meeting is open to the public and is scheduled to start at 8:00 am Monday July 18th. It will be held at the DoubleTree Suites by Hilton Hotel Salt Lake City Downtown. If you cannot make it to the meeting you can keep track of the next edition at www.nfpa.org/70E under the next edition tab. NFPA 70E is the standard for electrical safety in the workplace. If you maintain, repair, troubleshoot or work on electrical equipment, NFPA 70E is intended to help protect you. If you are safety manager, facilities operator, or electrical contractor, NFPA 70E is there to help you determine how to protect your workers from electrical hazards. NFPA 70E is the "how to" to the Occupational Health and Safety Administration's "what you are legally required to do" when it comes to protecting your workers from electrical workplace hazards. The public input for this cycle included a reorganization of Articles 110 and 120, further refining the arc-flash tables to place a greater emphasis on the assessment process, and to increase the dc shock threshold to 100 Vdc. If you are in Salt Lake City stop in to see what happens with the proposed changes. The new July/August issue of NFPA Journal is now published and available for reading! Inside, you will find the articles offer a broad look at assembly occupancy life safety issues, from outdoor festivals to subway platforms to big-top circus events. Our cover story, “Party On,” is an update on how the booming global festival industry is embracing the concept of “harm reduction,” a mix of safety, security, and medical efforts designed to complement the life safety evaluation required for large assembly events by NFPA 101, Life Safety Code. The issue also includes the 2015 firefighter fatalities report and much more. Read the full recap on our press release page, or head over to the NFPA Journal to start reading the articles! Each year, electrical dangers in the workplace cause hundreds of deaths and thousands of injuries. NFPA 70E: Standard for Electrical Safety in the Workplace, is the key to saving lives, reducing liability, and avoiding loss due to electrical incidents. During our two-day interactive, expert-led seminar you'll learn about the latest changes to NFPA 70E such as the new direct current (DC) tasks table. You'll also receive information about how to apply the 2015 edition of NFPA 70E to assess electrical risks and reduce employee exposure to potentially deadly hazards, and you'll be able to document safety procedures for compliance with OSHA 1910 Subpart S and OSHA 1926 Subpart K. Throughout the seminar, you'll even participate in activities and exercises and use videos, templates and job aids that will provide you with the right tools to help set up and follow an electrical safety program. The next seminar runs from Thursday, July 14 - Friday, July 15, 2016 in Williamsburg, Virginia. Can't make this event? Then check out our entire list of opportunities that run through the end of the year. You're bound to find a date and time that works best in your schedule. Whether you're an employer responsible for personnel safety or an employee tasked with identifying and addressing electrical hazards, you'll want to join your fellow colleagues at this training. Find more information on NFPA's website and sign up today! A few weeks ago was NFPA's annual Conference & Expo, held in Las Vegas. Little did we know, one of Las Vegas's historic buildings, The Riviera Hotel and Casino, was due for demolition that week. Did you hear about it? (Click the link for an amazing video of the implosion!) The Riviera was the first high-rise on the Las Vegas strip. And a fun fact: the hotel was known for its mobster ties and portrayal of Hollywood's mobster scene having been featured in many movies throughout the past decades! The building was demolished at 2:30 am on the morning of Tuesday, June 14. The hotel closed in 2015, after being in business for 60 years. It was one of Las Vegas's most (infamous?) properties and landmarks. Sparky checks off bucket list item #33: Meet a celebrity; thanks Craig Morgan! Sparky was excited to check off another item from his bucket list when he met country singer and former first responder Craig Morgan. Craig works with NFPA on the "Step Up and Stand Out" campaign, national campaign to increase awareness of the need for volunteer firefighters. Are you involved in the design, installation, maintenance or inspection of healthcare facilities? If you are, then you're also responsible for meeting the CMS requirements of the 2012 edition of NFPA 99: Health Care Facilities Code. On July 21-22, 2016, NFPA will host classroom training designed to guide you through NFPA 99's revised content and complete reorganization. You'll also get an in-depth look at how to conduct a risk-based analysis. The great news, too, is that the training is interactive and through hands-on exercises and activities you'll get a great working knowledge of the Code. The classroom training will take place at the Sheraton Fisherman's Wharf Hotel in San Francisco. Won't you join us? 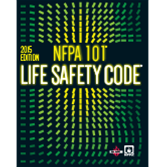 Learn what's different about the 2012 edition of NFPA 99 and how will it impact your work in all types of health care settings. Want to know a little more before you sign up? Our video above offers a brief overview about the training programs and certifications. Get additional information and register today to participate! With the summer in full swing, NFPA and Electrical Safety Foundation International (ESFI) are joining forces to remind boaters, marina operators and swimmers to be aware of the potential electrical hazards that exist on boats and in the waters surrounding boats, marinas and launch ramps where the electrical infrastructure has not been installed and maintained in accordance with applicable safety standards. Electric shock drownings (ESD) can occur when marina or on board electrical systems leak electrical current into the water. The leak can cause a shock that can injure, disable or kill a person, as reported in the NFPA Journal article, Troubled Waters. ESFI has boating and marina safety resources including brochures, toolkits, reference guides, and checklists that cover safety devices, common ESD causes and prevention methods, response protocol, and marina electrical safety considerations. The ESFI website also spotlights five key tips for boat owners: swim safety, put it to the test, use the right tools, know your surroundings, and learn the code. Three NFPA fire and life safety codes play a prominent role in marina and boat safety - NFPA 302: Fire Protection Standard for Pleasure and Commercial Motor Craft, NFPA 303: Fire Protection Standard for Marinas and Boatyards, and NFPA 70: National Electrical Code® (NEC). The American Boat & Yacht Council (ABYC) also has relevant standards that boaters and marina operators need to learn. The Fire Protection Research Foundation (the Foundation), the research affiliate of NFPA, commissioned ABYC to study marina and boating electrical safety. The Foundation report, Assessment of Hazardous Voltage/Current in Marinas, Boatyards and Floating Buildings, clarified the problem of dangerous voltage in marinas, boatyards and floating buildings, and developed a mitigation strategy to address identified hazards. Ten months later, in August 2015, the Foundation conducted a Marina Shock Hazard Research Planning Workshop that took a deeper dive on technical, awareness and regulatory solutions related to ESD. Addressing marina and boating electrical safety is a multi-faceted issue due to different jurisdictions and codes; the question of where land and water begin and end; consideration of where boats enter and depart; and opposing views from the boating community and marina operators - but all sides agree that it is essential to elevate boating and marina electrical safety awareness. At a recent Foundation Electrical Safety Research Advisory Committee meeting, it was announced that a new research project on marina risk reduction had been commissioned. The advisory group determined that marina risk reduction is bigger than any one code or standard, and deserves to be looked at as an important micro issue. In addition, the 2017 NEC®, which will become available for adoption at the end of August 2016, features three significant changes proposed for marina and boat docking facilities. See Jeff Sargent's blog on these proposed NEC changes. Across the country, different authorities are also looking at electric shock drowning and the need for testing, regulation, public education and outreach. In recent years, Arkansas, West Virginia and Tennessee have passed legislation regarding marina safety standards. Recently, the Commonwealth of Kentucky also adopted new regulations that require boat owners signing slip agreements to comply with NFPA, NEC, and ABYC electrical test requirements at least once a year to ensure that vessels do not discharge electricity into the water. Any boat found to be discharging electricity into state-owned waters will be subject to immediate corrective actions including removal of the vessel from the water, at cost to the owner. Potential new regulations governing the infrastructure for marina wiring in Kentucky are also being considered by state officials. NFPA will host a free webinar on Wednesday, July 20, 2016 from 12:00 – 2:00 pm EDT and will cover the changes in the 2017 edition of NFPA 70®, National Electrical Code (NEC), including new articles on large scale power generation, energy storage and direct current distribution. This event fills up quickly. Be among the first to learn more about the 2017 NEC and register for the webinar today! Sparky threw out the first pitch of a Toronto Blue Jays game to kick off the team's Swing Into Summer Safety campaign. The Blue Jays are partnering with the Toronto Fire Marshal's Public Fire Safety Council, the Office of the Fire Marshal and Emergency Management and participating Fire Departments to educate and raise awareness among school-age children and their families about fire safety and other injury prevention. The campaign got off to a great start, with Sparky pitching right to Blue Jays Ace's glove! Danger from fire was far from the minds of some 7000 happy patrons, attending "the greatest show on earth" at the city-owned circus grounds on the outskirts of Hartford, Connecticut, on the hot sunny afternoon of July 6, 1944. About twenty minutes after the matinee started a "flash fire" occurred which caused fatal injuries to 163 persons, mostly women and children. Sixt y-three of the dead were children under 15 years of age. Well over 200 other patrons were confined to hospitals as a result of burns and some 50 or 60 circus employees were treated by their own physician. Some of the critically injured patrons may yet succumb. NFPA members can download the investigation report for free. We want to hear from you! It's easy to comment on posts: just look for the login link above to login or register for you free account on Xchange. Xchange is more than a blog; it's an online community that connects you with peers worldwide and directly with NFPA staff. Get involved today! Across the country tonight, lottery players will be waiting with baited breath to see if they've won the Megamillions drawing, the 10th largest lottery prize on record. Whenever the jackpot soars to ridiculous heights, people start to talk about what they would do with the money. So, what would you do? Earlier this week, we learned about one generous lottery winner when a Kansas City news station reported that a Missouri man, who won nearly $300 million in 2012, built a fire station for his small hometown of Camden Point. The firehouse, which includes a training academy, will be dedicated on July 16th. Lottery millionaire Mark Hill and his wife felt the need to pay it forward because local fire volunteers saved his dad's life - on two occasions. The town of Camden Point in Northern Platte County has 500 residents. MegaMillions is played in 43 states plus the District of Columbia and the U.S. Virgin Islands. The odds of winning tonight's estimated $415 million jackpot are one in 259 million. With the Independence Day holiday upon us, the Consumer Product Safety Commission (CPSC) has debuted their public service announcement on fireworks safety featuring New York Giants football player, Jason Pierre-Paul, who lost an index finger and part of his thumb on his right hand following a July 4th fireworks accident at his home last year. While Pierre-Paul has resumed his NFL career since the accident, his life has been drastically altered, leading him to work closely with the CPSC in an effort to warn others about the dangers of fireworks. His message: Leave the fireworks to the professionals! CPSC reports that in 2015 there were 11 deaths and nearly 12,000 ER-treated injuries from fireworks - the highest number in 15 years! With more states relaxing their laws and allowing the purchase and use of more types of fireworks by consumers, this timely message of fireworks safety cannot be emphasized enough. With all of this data available and related stories of tragedy, this July 4th, we strongly encourage everyone to please play it safe. Spend quality time with your family and friends and create happy memories this year by enjoying fireworks in your community that are put on by professionals. For more information including safety tips and an inforgraphic, visit NFPA's fireworks safety webpage. 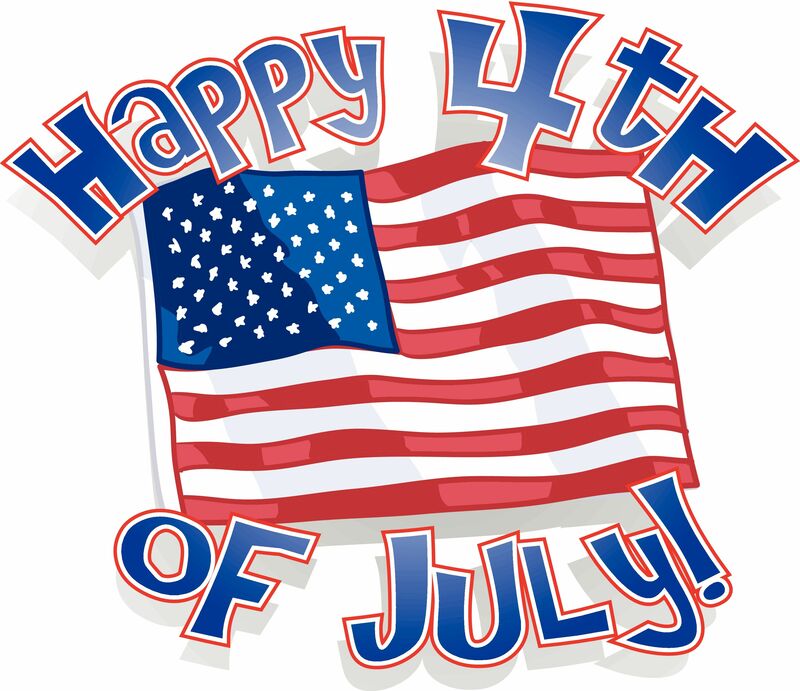 It's the Friday before the long 4th of July holiday weekend; the most festive and celebrated weekend of the summer. Thinking about fire safety may not be the first thing on everyone's mind. The Code provides the necessary guidance to local Authorities Having Jurisdiction to enforce safety during the many festivities occurring this holiday. Planning a backyard BBQ? Attending a professional fireworks show? Watching a parade? Attending a public event? NFPA 1 affects you this holiday and can keep you safe. Many of the past #firecodefridays discussions have highlighted provisions in the Code related to summer activities. Check out these past posts for additional information on Code provisions for grilling safety, sky lanterns, and more! Happy #firecodefridays and Happy 4th. Stay safe this weekend! Fire Firefighter fatalities from the Hackensack, New Jersey fire department were killed while they were engaged in interior fire suppression efforts at an automobile dealership when portions of the building's wood bowstring truss roof suddenly collapsed. The incident occurred on Friday, July 1, 1988 at approximately 3:00 p.m., when the fire department began to receive the first of a series of telephone calls reporting "flames and smoke" coming from the roof of the Hackensack Ford Dealership. Two pumpers, and ladder truck, and a battalion chief responded to the first alarm assignment. The first arriving firefighters observed a "heavy smoke condition" at the roof area of the building. Engine company crews investigated the source of the smoke inside the building while the truck company crew assessed conditions on the roof. For the next 20 minutes, the focus of the suppression effort was concentrated on these initial tactics. Members can download the investigation report for free.